The Durban area is probably best known for the historic Zulu kingdom, dating to the early 19th century. To understand the prehistory of the Zulu and related peoples, we need to consider linguistic data as well as anthropology and archaeology. Linguistically, the Zulu belong to the Northern, or Natal, Branch of the Nguni language family, which in turn is part of the larger Eastern Bantu group of languages. In the remote past, all Bantu languages originated in the Nigeria/Cameroon area of West Africa. Some early Eastern Bantu speakers moved south from this homeland, along the edge of the Congo, to Angola and then into southern Africa. 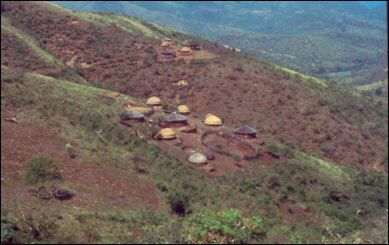 Others moved across the north edge of the tropical forest into East Africa. According to linguistic evidence, Bantu speakers in East Africa created a unique grammatical form to express location. Previously, a prefix, such as KwaZulu - the place of the Zulu, served this purpose. Sometime during the Early Iron Age, say about AD 800, East African Bantu created a suffix of the form *-(i)ni. The Zulu word for the Durban Municipality - eThekwini - is an example. This small linguistic fact shows that the ancestors of Nguni speakers lived in East Africa before they moved south. In addition to linguistic detail, anthropologists consider kinship terminology as an ancient form of indigenous classification resistant to change. Within southern Africa, most Bantu speakers have the Iroquois system, and a limited number of these share the same term for a cross cousin (e.g. the child of your mother’s brother), namely some variation of mazala (umzala in Zulu). By comparing cultural aspects of this limited group, anthropologists have shown that Nguni are closely related to Bantu speakers in the Great Lakes area of East Africa. Other Nguni customs involving hlonipha (to respect) and pollution have parallels in East Africa. Thus, the weight of the evidence indicates that Nguni people had once lived in East Africa. From an archaeological perspective, the first appearance of Nguni speakers can be recognised by a break in ceramic style; the Nguni style is quite different from the Early Iron Age sequence in the area. This break is dated to about AD 1200. The organisation of Nguni settlements follows the principles of the Central Cattle Pattern; a female residential zone, comprising an arc of grain bins and houses, surrounds a male zone of cattle enclosures, public court and smithing area. These components were arranged in three interconnected axis that contrast secular with sacred activities (front/back), senior with junior status (right/left) and blood relations versus marriage (centre/side). Evidently, the Nguni were the first people to integrate stonewalling in this pattern. The earliest type of walling, known as Moor Park, dates from the 14th to 16th centuries and is located in defensive positions on hilltops in the midlands, from Bergville to Dundee. Among other things, this type emphasizes the front/back axis: low hut platforms supported beehive huts in the residential zone behind cattle enclosures and middens. Variations of this type occur on the plateau to the north and west and represent the movement of Southern Nguni who claim Musi as a legendary leader. Another type of walling emphasizes the centre/side axis. The oldest walling of this second type occurs near the hill Ntsuanatsatsi on the plateau in the Free State, and is known as Type N. It first dates to the mid-15th century. Variations of this type occur on the plateau further north, and they represent the movement of Northern Nguni who claim Langa as their legendary leader. For good displays of Iron Age material from KwaZulu-Natal, visit the Natal Museum in Pietermaritzburg. The Durban area is also host to a much older heritage. Sibudu Cave, about 40 km to the northeast, contains an important Middle Stone Age sequence. The oldest occupation, the pre-Stillbay, is older than 70 000 years, while the Stillbay itself dates to 70 000 years ago. At this time, double pointed bifacial points were probably hafted and used as spearheads, while perforated seashells are some of the oldest jewellery in the world. Equally significant, the Howiesons Poort occupation stratified above (65 to 62 000 years old) contains small quartz segments (half-moon shaped tools with a straight cutting edge) that were glued onto arrow shafts. The people were hunting small game such as the blue duiker. This is some of the oldest evidence for bow and arrow hunting in the world (For more on Sibudu go to web.wits.ac.za). • Hammond-Tooke, W. D. 1993. The Roots of Black South Africa. Johannesburg: Jonathan Ball. • Krige, E.J. 1950. The Social System of the Zulu. Pietermaritzburg: Shuter and Shooter. • Wadley, L., Hodgkiss, T. and M. Grant 2009. Implications for complex cognition from the hafting of tools with compound adhesives in the Middle Stone Age, South Africa. Proceedings of the National Academy of Sciences, USA 106: 9590-9594.